Jude Hsiang is back teaching her class on learning to dye using natural plant materials. This Saturday! Sign up today with a friend. 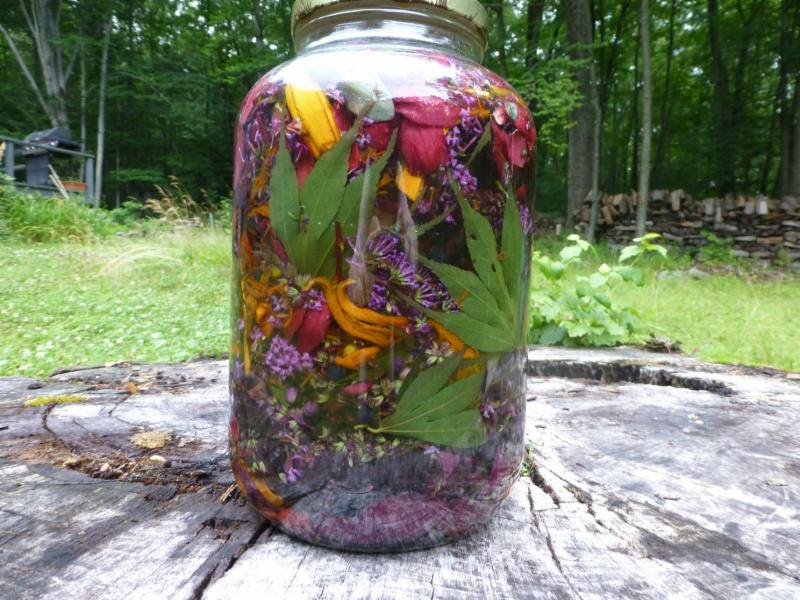 Hsiang is teaching a marvelous class: Learn to Dye using Natural Plant Materials. I saw this process in action this summer when my husband and I visited Old Sturbridge Village. We are honored to host Jude at Natureworks. In between, I am doing tons of consultations, garden designs, and bulb plans while supervising landscape installation jobs and rearranging perennials with my crews. I am constantly drawn into my gardens and find myself wandering around, soaking up the beauty and listening to the bees. 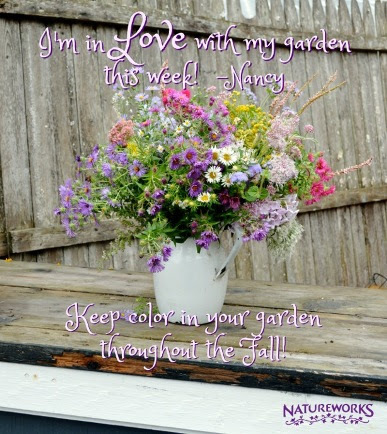 I said to my husband on Monday “I LOVE the way my garden looks right now.” That is because it is soft and full and overflowing with color. Woven into the dramatic “punch” flowers like orange zinnias and dark red Persicaria and asters of every sort, my favorite fall perennial. We’ve got an entire long bench filled with over 18 types of asters! Who does that? We do! Why? Because we are all about providing nectar for pollinators and asters perform this task efficiently and with great beauty. 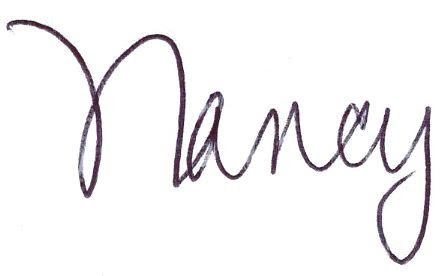 compact, threadleaf form. We have Echinaceas in every fall color imagineable. And don’t forget all the Eupatoriums- blue, white, pink, tall, short, fluffy, and beautiful. Got shade? We’ve got Chelone lyonii ‘Hot LIps’, pink turtlehead. 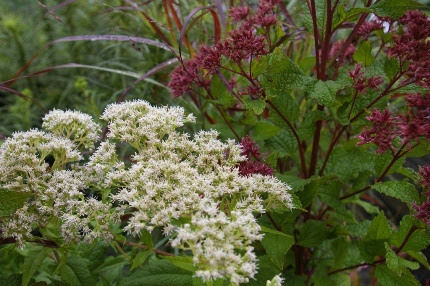 You can see it in our shade garden in full bloom along with Japanese anemones and Kirengeshoma. This week our Colchicum bulbs are blooming like crazy in the gardens. NOWis the time to plant them- they will bloom this year, but next year they will be magnificent. Mark your calendars, next weekend (October 8th and 9th) is our 7th annual Bulbs for Breast Cancer fundraising weekend. I will be teaching a workshop on how to choose and place spring blooming bulbs in your landscape. I am eating from my garden every day. This is the first of many Long Island Cheese pumpkins. I stuffed it and baked it. Yum! escarole is amazing and my frisee has been adding some zip to our salads for over a week now. But the most important edible to get your hands on right now is ourorganic, hardneck SEED GARLIC. Last year, we ran out fast. We have all of the varieties in the shop now. Even if you don’t plan on planting it for while, grab it this week to be sure you get what you want. 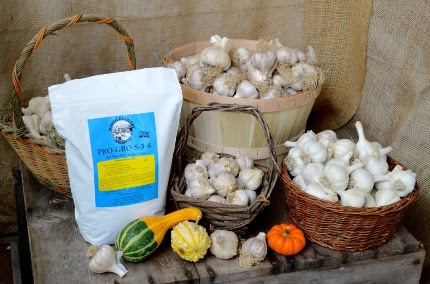 Check out the article below on How to Grow Great Garlic. Don’t forget to feed it with Pro Gro organic fertilizer and mulch with Lucerne Farms chopped straw. (The straw is on sale for 30% off each bale-see sale section below) It makes a big difference. Diane’s son Henry did just that and he won a blue ribbon at the Durham Fair last weekend for his amazing garlic! Congratulations Henry! 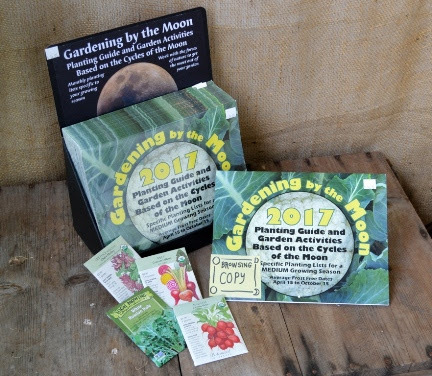 Another hot item that sold out last year is in stock: our 2017 Gardening with the Moon Calender. I have one at home and one in the office at Natureworks. I have written an interesting handout on how and why this works- ask for it when you pick up your copy of the calendar. It also makes a great gift. 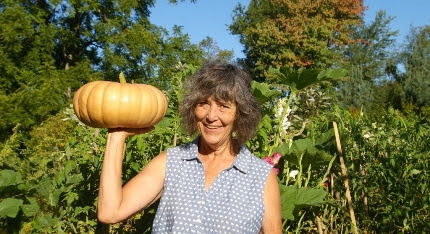 Diane is teaching a class on planting milkweed from seed as well as the end of the season Monarch raising wrap up on Sunday, October 9th. Mark your calendars. We are recuperating from spending four days at the Discovery Tent at the Durham Fair with our Butterfly and Pollinator Booth. We still have almost 200 monarch butterfly chrysalises that haven’t hatched (eclosed) yet- some hatch each day and we release them in the afternoon! All of the monarchs that we release now are tagged for Monarch Watch as they are the “super generation” that will fly over 2000 miles to Mexico and live for 8 months. On Sunday, October 9th, Diane will be wrapping up our season of raising monarchs and explaining exactly how to plant milkweed THIS FALL. Yes, we still have seed of many types of Asclepias as well as plants. Next year will be even better, especially if all of YOU help! 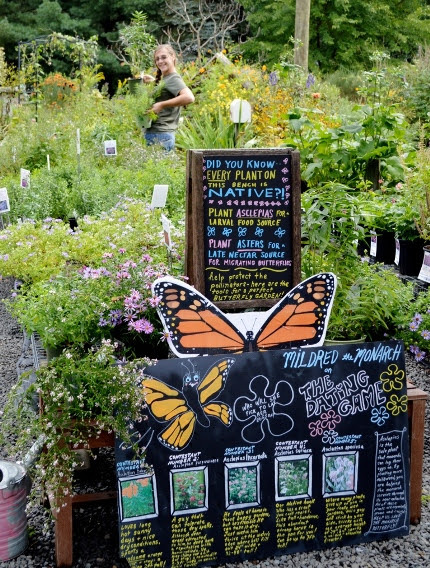 Perennials, bulbs, garlic, compost, air plants, grass seed, organic fertilizer, annuals, pumpkins, miniature plants… we have so many things that will brighten your world and make you happy about your home and garden too. Got bulbs? We do! 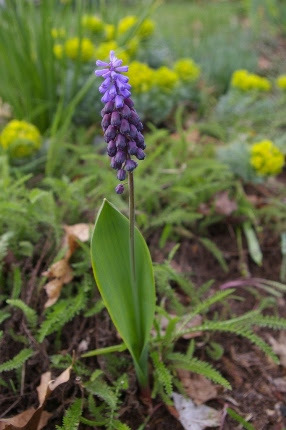 This is Muscari latifolium, a wonderful species of grape hyacinth that makes a fabulous cut flower.